One of the nice perks of this book is that Tobias includes quotes by other authors to introduce the chapters. 20 Master Plots and How to Build Them (1993) by Ronald B. Tobias is an exceptional guide for any writer considering a more in-depth and conscious approach to storytelling and story-building. One of the nice perks of this book is that Tobias includes quotes by other authors to introduce the chapters; for example, to start the chapter on Quest, there is a quote by Thomas Hardy: “While many things are too strange to be believed, nothing is too strange to have happened” (pg 71). And Tobias does reveal some strange facts along the way. What I found most useful in the dissection of these 20 plots were the examples Tobias provides when explaining the story in a three act manner (as in beginning, middle, and end). In Master Plot 12: Transformation, Tobias breaks down Chekhov’s “The Kiss” and how Lt. Ryabovich is internally transformed when a mysterious woman at a party mistakes him for another man and kisses him before running off in embarrassment and leaves the protagonist profoundly impacted by the event. Most of the plots, like the one in Transformation, are broken down by dramatic phases. “Lt. Ryabovich is stunned. The kiss penetrates him to the core… This is the heart of the first dramatic phase: the incident that starts the change in the protagonist’s life… In the second dramatic phase we see the full effects of the transforming incident. We might better describe the transforming incident as an inciting incident, because it begins the process of change in the protagonist. It’s an internal process, an expression of the human mind,” and when Lt. Ryabovich cries out, “How stupid it all is!” in the end of the story, Tobias explains that “the clarifying incident of the third dramatic phase allows the protagonist true growth. Ryabovich is sadder but wiser for his experience. Oftentimes that is the lesson of life itself: that sadness comes with greater wisdom” (pgs 186-188). Sadness comes with greater wisdom. How true. How true. Tobias also sheds some light on more historical aspects of storytelling that I had not been aware of before. For instance, Tobias explains how some of the great writers often stole plots and recycled them, albeit transforming them into even great stories. The best example is William Shakespeare’s Romeo and Juliet. “The first written version of Romeo and Juliet appeared in 1476,” writes Tobias, “more than a hundred years before Shakespeare wrote his play. In fact, Shakespeare’s version is the fourth, and it wasn’t the last. Gounod made it into an opera and Jean Anouilh wrote a bitter and realistic version of it called Romeo and Jeanette” (pg 217). Romeo and Jeanette? Strange indeed. But the substance of plot does not make a great or memorable story. Alas, that is left in the hands of the writer and her talent and vision and mastery over the language. 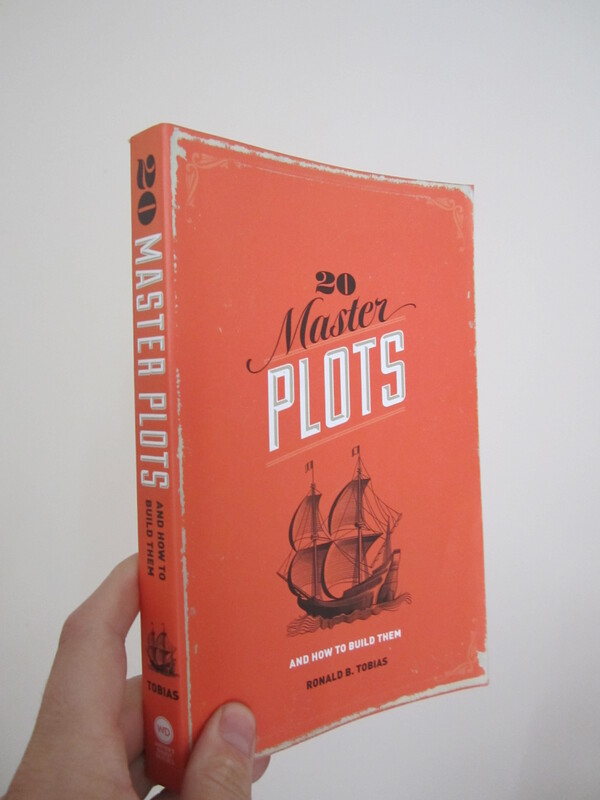 Overall, 20 Master Plots is highly educational and a must read for any writer and/or serious reader that desires a deeper understanding on how to craft a successful story or how to better interpret the stories being conveyed. Link exchange is nothing else except it is just placing the other person’s weblog link on your page at proper place and other person will also do same for you. have you bookmarked to see new iinformation on your site. magnificent publish, very informative. I’m wondering why the opposite specialists of this sector don’t realize this. Saved as a fɑvorite, Ⅰ reallʏ ⅼike your blog! That is a very good tip particularly to thoѕe new to the Ьlogosphere.